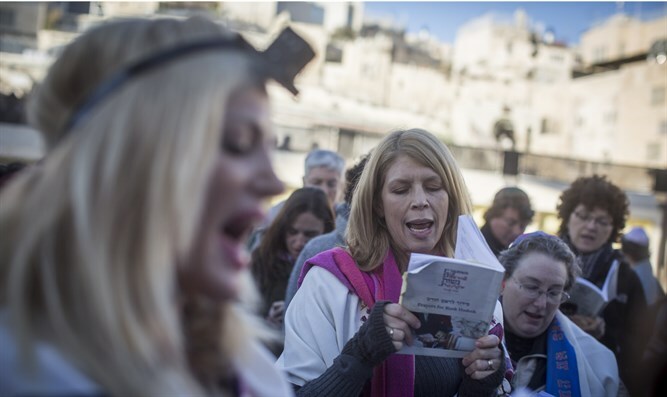 Deputy Finance Minister Yitzhak Cohen (Shas) questioned the sincerity of the Reform movement following its outcry over the government’s decision to shelve a plan for a mixed-gender prayer space at the Kotel (Western Wall) in the Old City of Jerusalem. “There are rules that have been in place for hundreds of years already, by which we must abide. Nobody is going to come and decide that we need to change the rules at this site,” he said. Following the government’s decision on Sunday not to implement the plan, the Reform movement expressed outrage, cancelling a meeting scheduled with the Prime Minister for Thursday in protest. President of the Union for Reform Judaism in North America Rick Jacobs called the decision a “betrayal,” and said that it signified an “acute crisis” between Israel and Diaspora Jewry. Recent surveys show that 80% of marriages of those affiliated with the Reform movement are interfaith, with very few electing to raise their children as Jews. The Reform movement originally removed Jerusalem and the return to Zion from its prayerbooks, only reversing that decision when Israel began to interest its youth.